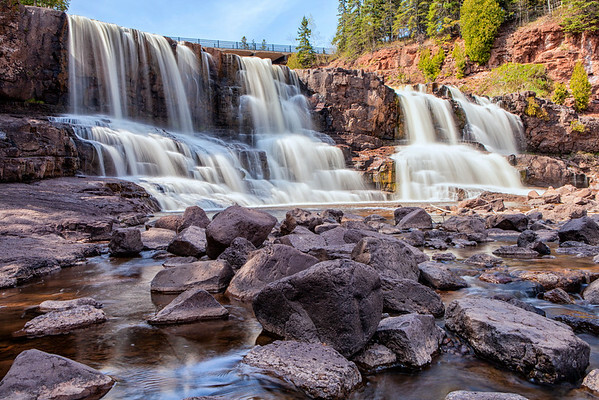 I have photographed Gooseberry Falls many times. It seems that the river is running at a trickle of gushing over the falls. This time it was perfect. I was able to get close enough to get the entire middle falls in the shot and the river was flowing fast enough to give me the silky flowing effect that I really like.